I am going to try this new format for my weekly emails, hoping that it adds to my ability to reach all parents and community members with news about what is going on at GDRHS. I am always willing to hear suggestions and feedback so please share with me any great ideas you have or topics which you would like to learn more about. 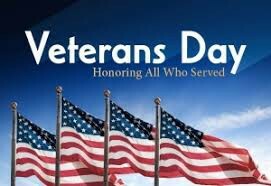 Tomorrow afternoon, we are so excited to welcome many veterans from our Groton and Dunstable communities. The celebration will feature music from our amazing Chamber Choir directed by Mr. Savoy as well as words from our guest speaker, LTC Ronald Anzalone; US Army, New England Recruiting Battalion Commander whom we are honored to have as our guest. I would also like to extend a special thanks to Mr. Arena for all the work he has put into reaching out to our communities and seeing to all the details that make this event possible. 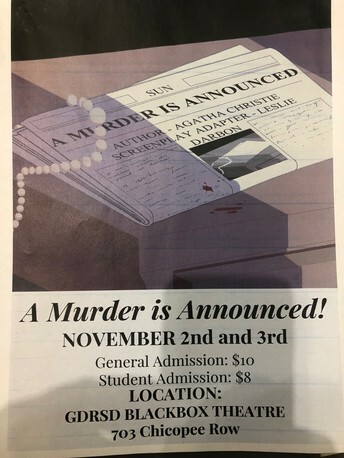 Congratulations to the cast and crew of "A Murder is Announced"! I am sad to say that, due to other obligations, I was not able to attend this fall's production. My apologies to the cast and crew who worked so hard to put on what, from all accounts, was another spectacular performance. A big shout out to Ms. Olson, Mr. Hoffman and Ms. Leung for all of their hard work in getting this production up and ready to go. Also, a big thank you to the GD Arts Boosters for their continued support of the Drama guild and all arts in the district. On Friday October 19th, the Groton Dunstable Music Honors Society held its first Open Mic Night of the year. With almost 20 acts, the show was rich with diverse entertainment, and displayed the recent surge in talent and interest in the music program. The almost $800 yield of this show will go to giving scholarships to ensure that every student is able to participate in the music program’s incredible opportunities. Sophomore Neil Prestia was excited to perform in an Open Mic Night for the first time, “It was so cool to be on stage with a band, especially in front of a community so enthusiastic about music.” Neil said of this exciting moment. Looking forward, the GD Music Program will be taking a trip to Disney World in the spring of 2019. Important trips like these require significant time and dedication, which this talented group of students is more than ready to step up and deliver. This first Open Mic Night was a perfect start to a productive year for GD’s Music Program. 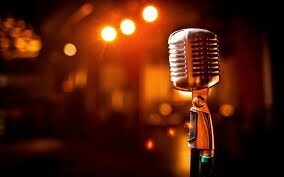 With consistently rising participation numbers, this year’s first Open Mic Night foreshadows great prosperity for the Music Program in years to come! The Global Scholars group will be meeting again next week, November 13th at 2:10pm. Ms. Salemme is excited to share some amazing information she received while attending EF Tour's National Symposium which took place last week at the EF Headquarters in Cambridge, MA. We are still accepting new students who would like to be a part of this group. No experience necessary. We are beginning to put together GDRHS’s yearbook for the Class of 2019! Read on to learn how you can purchase a yearbook, submit a senior portrait, buy and design an ad to celebrate a senior’s graduation, and more. As you plan your submissions, keep five things in mind. Senior Portrait Composition Specs—In color. Vertical orientation. Head and shoulders. Senior Portrait Content Specs—No props. No hats. Tasteful. Candid Content for Stories—Action or emotion. Not posed! Special instructions for Senior Portraits: If you used Mark Lawrence—make an appointment to select your portrait from your proofs ASAP. Mark Lawrence will send the photo directly to us. If you used any other photographer—it is up to YOU, not the photographer, to submit your portrait. Please give your photographer the photo specifications information above and upload your portrait to GDRHS’s Herff Jones eShare page. Problems with or questions about senior portraits? Contact Mr. Jon Adams (jadams@gdrsd.org). Third, Herff Jones online services. Problems with or questions about online services? Contact Ms. Kelly Cook (kcook@gdrsd.org). If you prefer not to use online technologies, you still have options to buy a yearbook or ad. Order a yearbook using a check: Make your check payable to GDRHS Yearbook and mail the check to Ms. Lynette Fisher, GDRHS, 703 Chicopee Row, Groton, MA 01450. Students may also drop off their order to Ms. Fisher in the main office. Purchase an ad that the staff creates for you from physical photos (details here): Indicate your ad size and design on the enclosed materials and make a check payable to GDRHS Yearbook. Mail your ad materials and check to Mr. Jon Adams, GDRHS, 703 Chicopee Row, Groton, MA 01450. You may also send your child to drop off your ad materials and check to Mr. Adams in room 112. A yearbook staff member will send you an email confirmation when your ad materials have been received. Once the ad is designed, you will receive your materials back in the mail along with a proof of the ad. 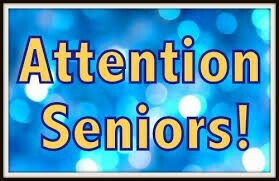 Using students’ personal @gdrsd.us Gmail accounts, the yearbook staff will be sending seniors online forms to collect information. Be on the lookout for e-mails from hsyearbook@gdrsd.org to submit your quote, stories, and to vote for superlatives. Your senior portrait needs to be submitted according to the photo specifications on the first page of this letter. Please note, the directions differ depending on the photographer you used. Suggest a story! One purpose of a yearbook is to tell the story of a year. We want to be able to highlight your achievements for this year, but we can’t if we don’t know about them. If you or one of your classmates has had an experience (or you anticipate will have an experience) that you believe deserves to “go down in history,” submit a story idea to hsyearbook@gdrsd.org. We will consider any events that have occurred since March 2018 until our final deadline in February 2019. 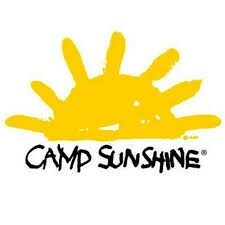 We are raising money to help support the life saving mission of St. Jude Children’s Research Hospital. For just a $10.00 donation you will receive a limited edition GD Crusaders/Team Up for St. Jude shirt and we will donate the proceeds to St. Jude Children’s Research Hospital. Cash or check payable to Groton Dunstable Regional High School. All T-shirt orders must be paid in advance and received at the High School by November 9, 2018. Please contact the club advisor, Cheryl Shea @ cshea@gdrsd.org to place your order. T-shirts will be ready for delivery in early December. Help St. Jude Children's Research Hospital continue to lead the way the world understands, treats and defeats childhood cancer and other life-threatening diseases. Because of St. Jude supporters, countless children have enjoyed a lifetime of moments they might otherwise have missed. Save the date: Join us at GDRHS on December 22, 2018 for our TEAM UP for ST.JUDE game night with a double header Varsity Basketball game. Wear your shirt! Since 2015 I have had the pleasure of interacting with a good number of your students in their capacity of assisting at the State Middle School XC Championships. Kelsey Beausoleil has served as the recruiter and the young men and women she has motivated to work at the meets have been outstanding. The link http://www.coolrunning.com/results/18/ma/Nov3_10thAn_set1.shtml shows the number of races they were responsible for as they provided timing and result collection for each race. They also assisted in dismantling the course set up. They are a group of young adults that your school should be proud of. Thanks to all of the students who participated in this volunteer opportunity and represented our school and our communities so well..
November 8: Our Volleyball team travels to Marlborough in Central MA Semi Final Action. Good Luck against the Panthers! November 10: Central Mass X-C Championships... Good Luck and Run Fast! 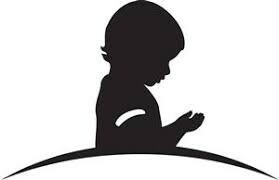 November 15: Our first annual trip to Give Kids the World Village departs for Kissimmee, Florida.